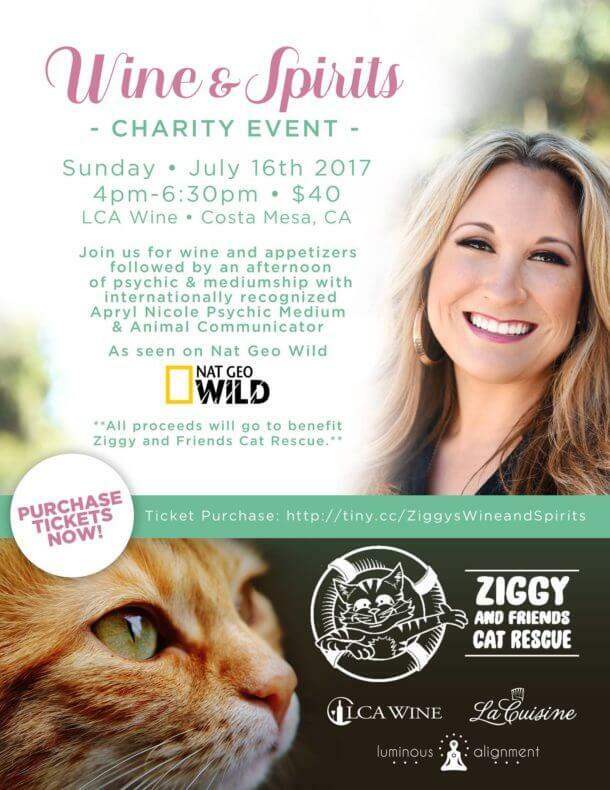 Apryl Nicole Psychic Medium is teaming up with Ziggy and Friends for a charity night of Wine & Spirits. Please join us for wine and appetizers followed by an afternoon of audience readings. 100% of the proceeds will go to Ziggy and Friends Cat Rescue. 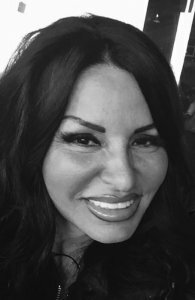 Apryl Nicole is an internationally recognized Psychic Medium & Animal Communicator. She has been featured on Nat Geo Wild and travels the nation conducting audience readings as a psychic medium. Ziggy and Friends Cat Rescue’s mission is to save the innocent little lives that are moments from being euthanatized and giving them a second chance at a long and well-loved life.